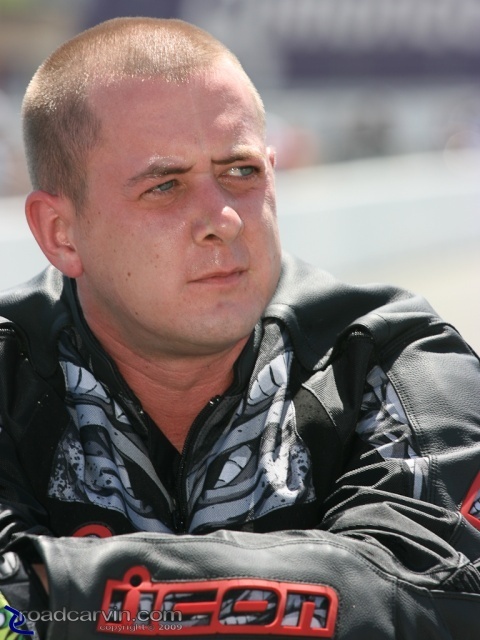 Jason Britton burnout, up close with the fans. 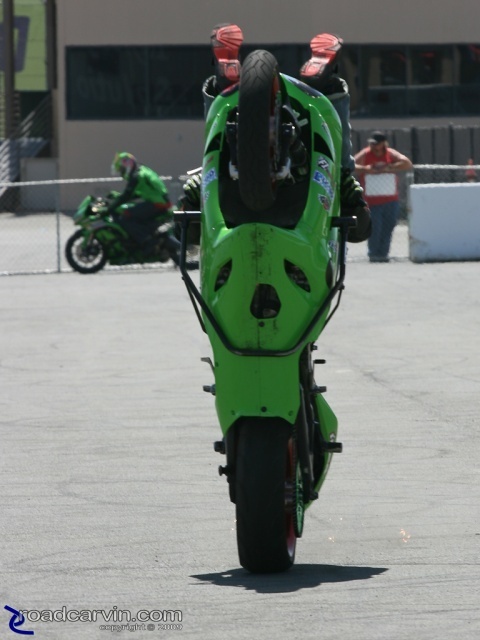 Jason Britton riding out a stoppie. 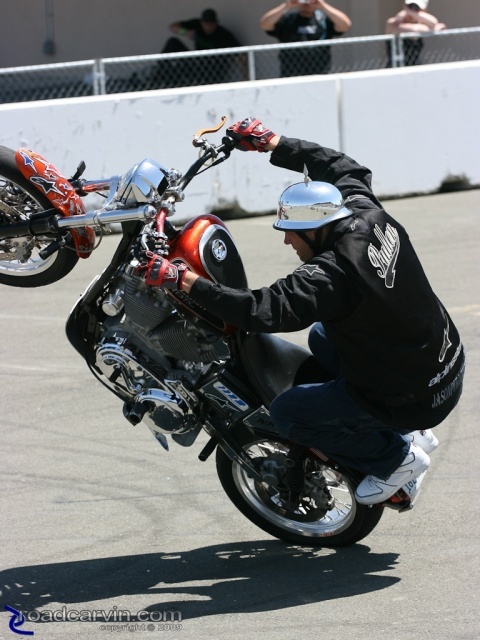 Jason Pullen riding a wheelie on his Harley-Davidson Sportster. 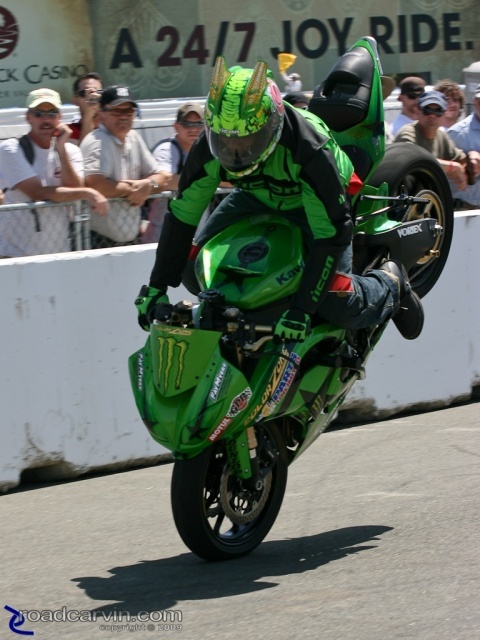 Eric Hoenshell demonstrating his bike control on his No Limit Kawasaki. 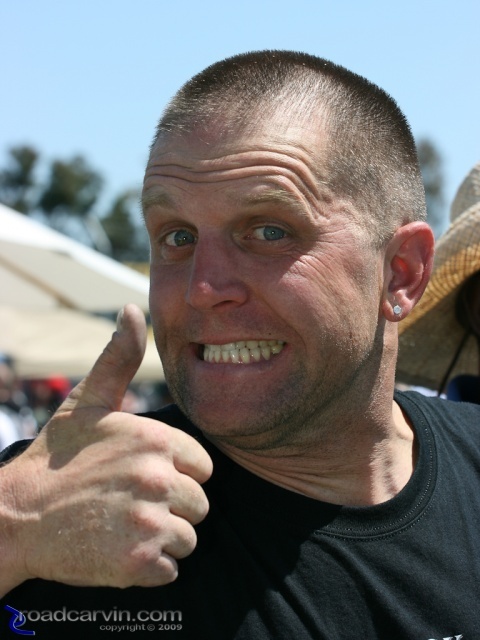 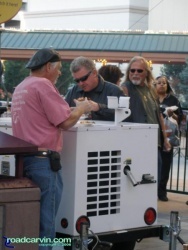 No Limit stunt rider Eric Hoenshell.